We’re jumping out of our skins to show you the newest kid on the block from Mountain Buggy! This is your first look at the Unirider – which has just hit the market today, and it’s a dead-set ripper. Super fun and great for developing balancing skills, this is the hottest new thing to tote toddlers. Come and take a look. 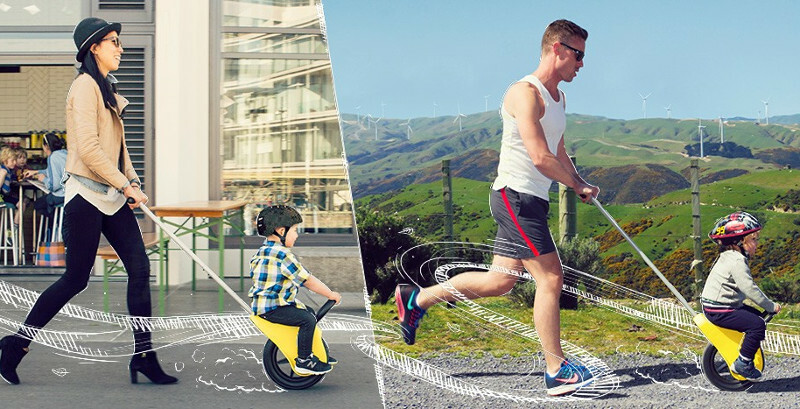 Mountain Buggy has found a way to cleverly combine something that’s usually reserved for circus clowns, and a toddler’s balance bike, to create the fun and fabulous Unirider. 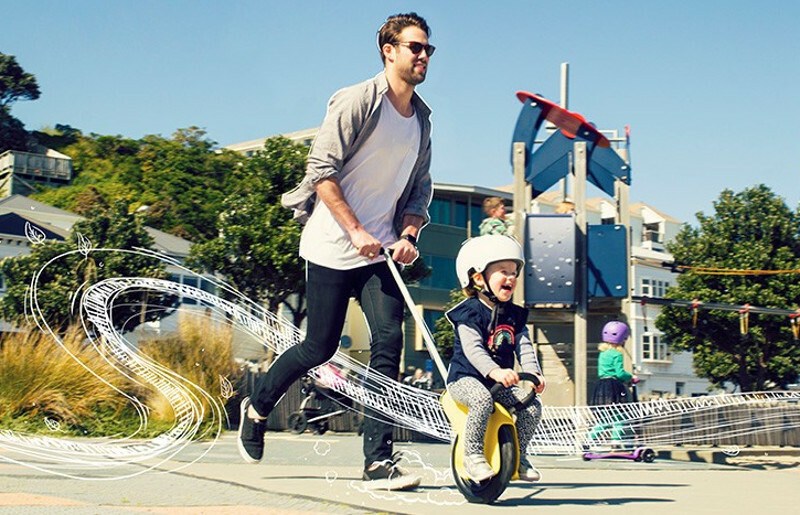 The Unirider is a genius collaboration with UK dad Simon Langham (pictured above with his Unirider prototype), who wanted to eliminate the toddler tantrum stage – which happens somewhere between not wanting to be confined to a pram, but not having enough energy to walk very far. It’s taken Simon and the Mountain Buggy team more than a year to develop the Unirider, based on that first prototype. What they’ve created is a different way for little ones to experience riding, one that helps them hone their balancing skills, and gain confidence. It’s a handy little device for getting kids around quickly and easily – and without an argument … who wouldn’t want to ride it? The Unirider is available for purchase now, for $119 – but be advised there’s already a wait of up to three weeks for stock!